The dramatic decline in denominational affiliation and loyalty in the U.S. in the last half century has prompted many to ask, “Do denominations (and their regional bodies) matter?” When there is often more variation in belief and practices within a given denomination than between denominations, what does it mean to identify as a Presbyterian or Methodist, or as part of the Conservative or Reform movement in Judaism? Traditionally, denominational affiliation has made three main contributions. The first is a sense of identity. The stronger that identity, the more likely a group is to at least retain and possibly attract members. But in the welcome wave of ecumenism that swept through mainline denominations since 1960, the distinct identity of mainline U.S. denominations receded as we focused more on our similarities than our differences. What may be needed now is a reassertion of unique identity while maintaining ecumenical connections. A second contribution of denominations is the connectional capital they offer. This means that congregations and clergy are linked through the regional and national associations created by the denomination’s structure. While important primarily for fellowship and interaction, such connectional ties become critical when accountability questions arise—such as allegations of ethical misconduct against a credentialed leader. Formal denominational policies and procedures tend to be more comprehensive than those an individual congregation might develop—and are often essential when managing personnel and legal issues. The third significant function of denominations is to be a resource provider. Denominations and their regional bodies provide resource people and materials to assist congregations with a variety of tasks and ministries. 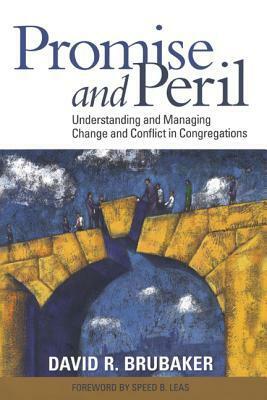 These range from worship resources to religious formation materials to leadership development and community outreach. Since only the largest congregations can hire professionals in all these areas, denominations and regional bodies help congregations to build capacity. If denominations offer a sense of identity, connection, and resources, why are so many in decline? As the most visible artifacts of organized religion, denominations are suffering the impact of widespread decline in religious participation in the U.S. and the accompanying dip in financial support. When local congregations decline, their denominations and regional judicatories are inevitably impacted as well. Can denominations be revitalized? I believe that they can, by providing the three critical distinctives discussed above—identity, connection, and resourcing. Here is a modest proposal for making denominations matter. Focus on Identity. What does it mean to be Reform, Conservative or Orthodox? What difference does it make if we are Roman Catholic, Episcopal, or Baptist? The current 500th-anniversary commemoration of Martin Luther’s 95 theses is an opportunity for Lutherans and many Protestant groups to rediscover their roots and reaffirm (or renegotiate) aspects of their historic identity. Other religious traditions have similar opportunities to focus on their unique identities—even while reaffirming their similarities with other traditions. Build Connections. Clergy are often lonely, and members of small congregations often yearn to be part of something larger than themselves. “Connectional capital” results when connect with other congregations within and across traditions. Regional associations can be sites for peer mentoring, profound storytelling, and leadership development. Clergy who are not part of denominations often struggle to find such connectional capital. Share Resources. The primary purpose of a denomination and its regional association is to serve and build up local congregations and their leadership. In the United Methodist Church, the role of District Superintendent has changed from a form-pushing middle manager to chief missional strategist, who resources congregations, aligns them with the mission of the denomination, and inspires and helps them to revitalize. My colleague Susan Nienaber wrote an article about “Revitalizing the Mainline” that captures learnings about what contributes to congregational revitalization. Such resources—of both people and content—represent the best of what denominations can bring to their member congregations. 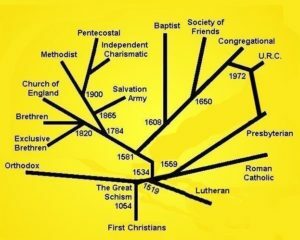 Do denominations matter? They do when they focus on identity, build connections, and share resources. But when they become arenas to contest the latest theological and political squabbles, they erode their own effectiveness in these critical areas. Denominations matter when they serve the congregations and the individuals who comprise them. They cease to matter when they serve themselves or serve only as political platforms for competing interests.